Delhi, India, March 24, 2017	(Newswire.com) - Baking is a process that has been practiced for centuries. Bakery products range in complexity from the simple ingredients of flour to premixes, a plain pastry to the numerous components of a cake, bread to croissants, cookies to crackers, and many more. While currently there are numerous ingredients that are available which are aimed for development and production of quality bakery products, the challenge facing bakers, production staff, researchers and academicians, etc is the limited awareness. AIBTM has developed “Ingredient Library” to provide information on ingredients that have been determined to be generally recognized as safe and approved under conditions of intended use as ingredients. The Library provides ingredients and information about various ingredients for Research & Development; Education, Processing of Bakery Products. It is supplemented with teaching and practical usage of ingredients during our training programs for industry, entrepreneurs and students. 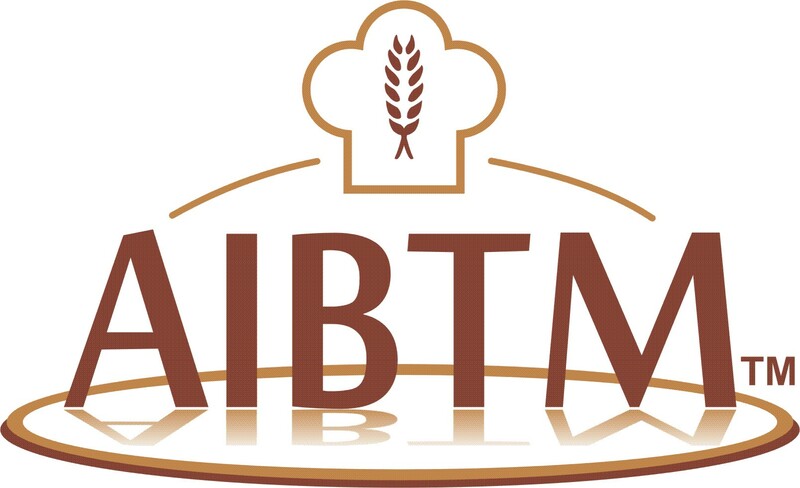 AIBTM also understands that industry/bakers and academia should also be aware regarding the availability, functionality and usage of various ingredients. AIBTM has made available display space to Ingredient manufacturers/suppliers at “Ingredient Library”. 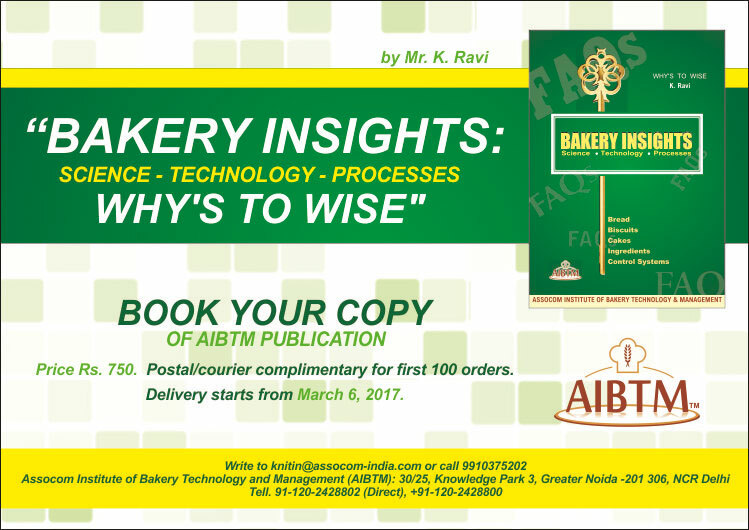 AIBTM has published a comprehensive book on “Bakery Insight: Science-Technology -Processes Why's to Wise". It is written by Mr. K. Ravi who has more than 35 years experience in production, processes, R&D, etc. with major bakery industries. He has been associated with AITBM since its inception. This book will be requisite key to help answer various aspects of a bakery (Biscuit, Bread, Cake, Ingredients and control systems). The Bakery Insight covers all aspects of baking including: Bakery Ingredients (Wheat Flour, Water, Oils & Fats, Sugar & Salt, Food Additives, Emulsifiers, Enzymes, Leaving Agents, Colour & Flavours, Milk Products, Cocoa Products, Fruits & Nuts, Spices, Starches & Cereals); Cookies & Crackers -Trouble Shooting; Bread - Trouble Shooting; Cakes- Trouble Shooting; Packaging; Food Safety & Legislation; Nutrition & Fortification; Preservative; Shelf Life; Food Analysis; Licenses for Factory Operation and Glossary of Terms. This will book will be highly recommended to industry, research and academic institutes/colleges. It will be widely available in India and other neighboring countries. AIBTM is thankful to ADM agro Industries India Pvt. Ltd.; Buhler India Pvt. Ltd.; Cargill India Pvt. Ltd.; DuPont Nutrition & Health; Fine Organics Industries Pvt. Ltd.; ICL Management & Trading India Pvt. Ltd.; Indo Bakels Pvt.Ltd. ; Monginis Foods Pvt. Ltd.; Novozymes South Asia Pvt. Ltd.; Rademaker BV; Sonic Biochem Extraction Ltd.; Stern Ingredients India Pvt. Ltd.; and The Delhi Flour Mills Co. Ltd. for their support for the development of Bakery Ingredient Library and/or publication of Bakery Insight.